Giving up on years in which they proved powerless to change the events of World War II, Tom Hanks and Steven Spielberg are at last moving on to the Cold War, the next logical era of history to which they can finally bring some attention by putting Tom Hanks and Steven Spielberg in it. 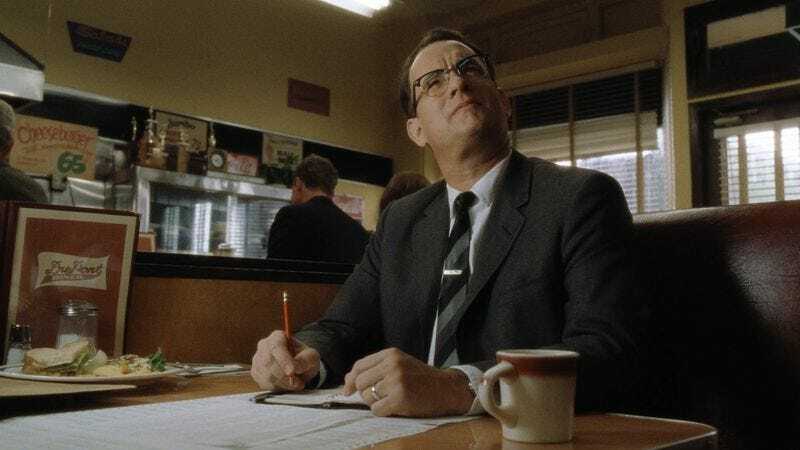 Variety reports the duo is developing a 1960s-set thriller in which Hanks would play James Donovan, the attorney enlisted by the CIA to negotiate the release of Francis Gary Powers, the pilot whose U-2 spy plane was shot down over Russia. As of now, Spielberg is only attached to produce, given that he currently has several other choices when it comes to directing historical dramas—albeit ones without Tom Hanks. Still, it definitely seems like Hanks could get Spielberg fully on board, especially with one, late-night phone call, in which he reminds Spielberg that, if they don’t act now, the Cold War could set off a domino effect of other past events they’ll have to make movies about.